"First Official Apology for Killings in Dersim," Hurriyet Daily News, November 23, 2011. “Global investors invited to participate in Turkey’s rise,”in Daily Sabah, Jan. 19, 2016. 11世纪初，拜占庭帝国在安纳托利亚的防御明显弱化。1068年，罗曼努斯（Romanus Diogenes）成为拜占庭皇帝，他力图通过一系列军事行动结束突厥人的威胁。1071年3月，罗曼努斯从君士坦丁堡出发去东部夺取曼齐克特和阿赫拉特的军镇，这个地方是从东部来的入侵者的主要路线。当时，阿斯兰正在叙利亚北部用兵。在得知拜占庭皇帝的行动之后，阿斯兰决定带兵打击罗曼努斯。当年8月，两军在曼齐克特遭遇，遂发生历史上最伟大的战役之一。结果是阿斯兰打败并俘虏了罗曼努斯，但阿斯兰当时的主要兴趣并不在安纳托利亚，而是埃及与叙利亚，所以他在要求了每年的供奉以及提供军事帮助之后，就宣布了和平，并释放了罗曼努斯。不过，君士坦丁堡的官僚们在他返回首都之前就把罗曼努斯抛弃了。随后拜占庭发生了一系列内战，极大地便利了突厥人的入侵。Maribel Fierro, ed., The New Cambridge History of Islam, Vol. 2, (Cambridge University Press, 2010), pp.302-303; Kate Fleet, ed., The Cambridge History of Turkey, Vol. I, (Cambridge University Press, 2009), p.10. 指奥斯曼一世（Osman I, 1299～1326），即奥斯曼帝国的开创者，其父亲为艾尔图鲁，属于乌古斯土库曼部落，是罗姆的塞尔柱突厥人的一个贵族。A Portrait Album of the Ottoman Sultans, （Istanbul: Kaknus Publications, 2012）, p.1. 指穆罕默德二世（Mehmed II,1444～1446/1451～1481），是奥斯曼帝国第七任苏丹，他于1453年征服了君士坦丁堡，故被称为“征服者”（Fatih）。A Portrait Album of the Ottoman Sultans, p.7. 指苏雷曼一世（Sulaiman I, 1520-1566），是奥斯曼帝国第十任苏丹，他被称为“大帝”和“立法者”。A Portrait Album of the Ottoman Sultans, p.10. 一般认为苏雷曼（Süleyman）、艾尔图鲁（Ertuğrul）分别是奥斯曼帝国创立者奥斯曼一世的爷爷和父亲。关于他们的历史记载并不清晰。可以确定的是到1225年的时候，随着蒙古人征服而来的乌古斯部落的一支已经占据了凡湖附近的阿赫拉特地区，其领导者就是苏雷曼。艾尔图鲁可能是苏雷曼的儿子抑或孙子，他的名字来自突厥语。几乎可以肯定的是，作为一个军事将领的艾尔图鲁所占据的Bitinya地区，要么是塞尔柱人册封的领地，要么就是他为了躲避蒙古人而来到这里。Jean-Paul Roux, Türklerin Tarihi: Pasifik’ten Akdeniz’e 2000 yıl, translated by Aykut Kazancıgil & Lale Arslan-Özcan，（Kabalcı Yayınevi, 2004）, pp. 325-326. 土耳其总理达乌特奥卢在2016年1月中旬的伦敦演讲中也指出，为了与经济低迷对抗，除了提高生产能力和强化资本市场，还必须增强劳动力市场的弹性，提升基本的和职业的技能，打造有质量的人力资本。“Global investors invited to participate in Turkey’s rise,”in Daily Sabah, Jan. 19, 2016. 当下正在酝酿的关于叙利亚问题的日内瓦和谈进程中，土耳其与俄罗斯、西方发生了分歧，原因是土政府将与库尔德工人党合作的叙利亚库尔德民主党联盟（PYD）及其支持的民兵组织“人民保护联盟”（YPG）视为恐怖组织，力主将其排除在和谈进程之外，但美国没有接受这个观点，还派总统特使与之接触，指出“人民保护联盟”与库尔德工人党有明显的不同。这是土耳其目前面临的库尔德问题区域化和日益复杂化的写照。CNN Türk, Feb. 11, 2016. 根据土耳其总理达乌特奥卢最近的介绍，土耳其现阶段的改革主要有3个部分：部门的转型（sectoral transformation）、结构性的大调整（structural-macro reforms）与欧盟（EU）进程；基础设施建设主要是2023愿景提到的一系列投资计划，尤其是机场、港口和道路建设，目标在于将土耳其打造成一个物流中心。“Global investors invited to participate in Turkey’s rise,”in Daily Sabah, Jan. 19, 2016. 从2002年正发党第一次赢得土耳其大选来分析，对当年选举影响最大的还是宗教因素，而不是愤怒和经济因素。正发党与世俗主义的共和人民党（CHP）的最重要区别就是对宗教的立场。正发党标榜的是要挑战对宗教自由的限制，比如头巾问题。根据学者的研究，对正发党的支持并不能完全说是出于宗教的原因。正发党算是温和化的伊斯兰主义，但这不是它获得支持的最主要原因，土耳其的选民区隔主要还不是世俗与宗教，而是关系到社会经济政策的左、右之分。Ali Çarkoğlu, Ersin Klaycıoğlu, Turkish Democracy Today, （I.B. Tauris, 2007），pp. 216-218. 埃尔多安曾说：“有的人提出，伊斯兰世界与西方世界的价值观之间存在尖锐的冲突。仿佛伊斯兰世界盲目地、狂热地并整体地要与西方敌对；也有人把伊斯兰教只是与恐怖主义等同，并昧着良心地去制造一种全球性的伊斯兰恐惧症。不管是谁以什么名义，我们都坚决地反对这些做法。”R. Tayyip Erdoğan, Küresel Barış Vizyonu, （İstanbul: Medeniyetler İttifakı Yayınları, 2012）, p.24. 近年来，中东地区出现剧变和动荡，土耳其在地区事务中也发挥着越来越重要而特殊的作用。“在很多方面，土耳其已经符合一个地区性大国的标准。”Sinan Ulgen, A Place in the Sun or Fifteen Minutes of Fame? Understanding Turkey’s New Foreign Policy, Carnegie Papers, Carnegie Europe, Carnegie Endowment for International Peace, No. 1, December 2010, p. 5. 昝涛：《土耳其与“东突”的“不解之缘”》，《中国经济》2009年第83期，第116～121页。Zan Tao, “An Alternative Partner to the West? 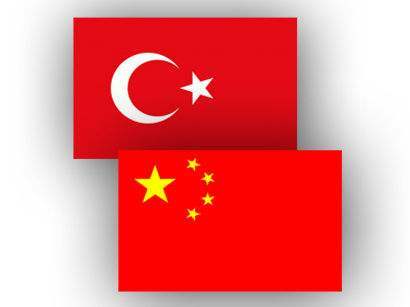 Turkey’s Growing Relations with China” , in Niv Horesh, ed., Toward Well-oiled Relations? China’s Presence in the Middle East Following the Arab Spring, （Palgrave Macmillan, 2016）, pp. 19-29.